Books on the Israeli-Palestinian conflict and modern Palestinian history abound, appearing in various languages and covering various topics, angles and perspectives. Recently, three works have appeared that have looked at Palestinian life under occupation through the visually rich and textured comics form. Despite the label, comics (or “graphic novels” as its book-length iteration is called) offer serious and sophisticated analyses and depictions of daily life through a creative combination of black-and-white line drawings and accompanying text. Here, we’ll look at three graphic novels that are celebrated both for their incisive commentaries on politics in Palestine as well as for being brilliant comics in their own right. Maltese-American reporter-cartoonist Joe Sacco spent a few months in 1991 and 1992 visiting the Gaza Strip and the West Bank. At that time, the first Intifada was still raging in Palestinian towns and refugee camps. The pages of “Palestine” follow Sacco as he makes his way through Nablus, Jerusalem, Hebron, Ramallah and Gaza during a rainy, muddy winter, drawing and writing about the people he meets and the stories he hears. Whether it’s a crowded road at a refugee camp or a family dinner with a recently released prisoner, Joe Sacco’s meticulously rendered drawings reflect his keen observer’s eye for detail and subtlety. Originally published as a series of nine comics beginning in 1993, “Palestine” won the American Book Award in 1996. A collected edition of the comics series was published in 2001 by Fantagraphics Books. Another work by Joe Sacco, “Footnotes in Gaza,” was published in 2009. In this work, Sacco returns to Gaza to investigate two massacres that took place in Rafah and Khan Younis by the Israeli army during the Tripartite Aggression of 1956, which was launched by Britain, France and Israel against Egypt in response to the Gamal Abdel Nasser’s nationalization of the Suez Canal. At that time, the Gaza Strip was under Egyptian administration. 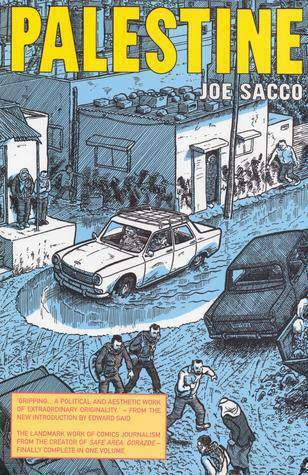 In “Footnotes,” Sacco combines his skills as an investigative journalist of the highest caliber with his unique style of drawing and composition to create a work of visual journalism that succeeds in salvaging the tragic story of those events of 1956 from the margins of history and memory. 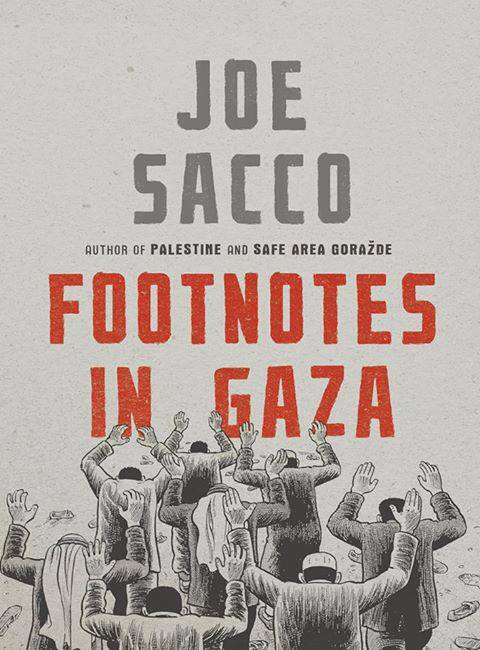 Sacco won the Ridenhour Book Prize for “Footnotes in Gaza” in 2010. 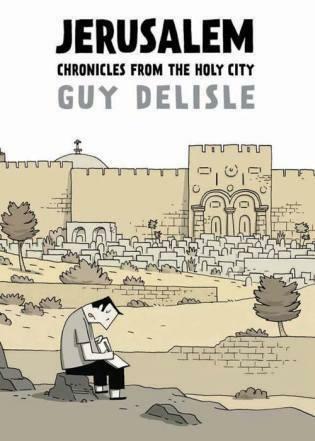 Canadian comics artist Guy Delisle spent a year living in East Jerusalem between 2008 and 2009, which is the subject of his 2012 book, “Jerusalem: Chronicles from the Holy City.” Accompanying his wife, who works for Médecins sans Frontières, Delisle is the primary caretaker of his two young children. Not only is he trying to negotiate daycare and grocery shopping in Beit Hanina, he is also trying to make sense of a political situation that is at once absurd, tragicomic, and ironic. Delisle’s uncomplicated drawings and terse prose are a stark contrast to Joe Sacco’s richly detailed and researched comics, yet the simplicity of his style succeeds in making his conclusions all the more powerful and clear. “Jerusalem: Chronicles from the Holy City” won the Fauve d’Or at the Angouleme Comic Festival in 2012.